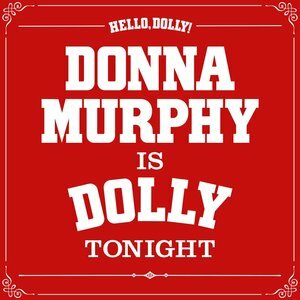 Highest ticket price paid: $89 for Hello, Dolly! 2018 goals: 200 shows and more international work! Here are my picks for the 10 best shows I saw in 2017. CHICAGO, IL - Winkler's warped satire on white privilege set in a seaside mansion full of the deadbeats may make several obvious winks towards our present-day problems of income inequality. But First Floor Theatre's crisp world premiere production found the script's potential and delivered an unhinged mounting in hysterical form. CHICAGO, IL - When choosing to revive a popular musical there should be some motivation behind it aside from name recognition. Enter Everett Bradley's musical arrangements fusing synth-rock, jazz, and rock 'n' roll together for an electrifyingly new spin on the classic musical. This revival remains in the 30s but, under Michael Heitzman's direction, 42ND STREET is now scrubbed of the "Great White Way" ethos and feels more down-to-earth with diverse casting, choreography blending tap and hip-hop and a set consisting of exposed brick walls and stationary scaffolding. LOWELL, MA - It's 2001 in act one of CHILL and four high school friends meet in a basement on the eve of graduation to discuss their hopes and dreams for the future. Act two leaps forward a decade and we learn who the four friends have become. Burgess does a great job in using the events of recent history to carve out a play baked in dramatic irony. Director Megan Sandberg-Zakian's work on CHILL was subtle and successful. By focusing on characters and not being afraid of stillness, the production was truthful from start to finish. NEW YORK, NY - Duh. HARTFORD, CT - CLOUD 9 was not only a highlight of the 2017 theatre season, but it was also the best production I've seen at Hartford Stage. Churchill's challenging script requires incredible versatility to convey the play's satirical message on colonialism and the company nailed it. 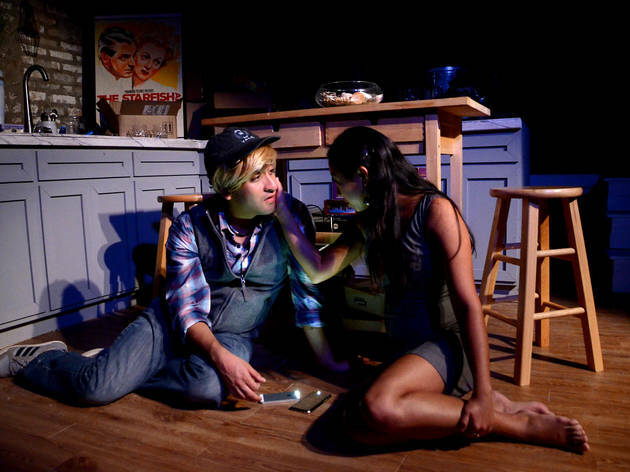 Under Elizabeth Williamson's direction, CLOUD 9 never wasted time in explaining the illogical elements of the play and instead focused on striking at the core of the character's conflicts and made sure to have a downright messy time in doing so. Toppling the patriarchy and sticking it to gender binaries never looked like so much fun. NEW YORK, NY - I was not prepared for the latest Annie Baker play because everything about it was kept a secret from the public. The excitement of seeing a mysterious new play by one of our best playwrights was enough to qualify THE ANTIPODES as one of the major theatre events of 2017. But what made it one of the best productions of the year was Baker's ability to craft a play about humanity entirely without exposition by using a simple premise; people talking while seated around a table. Lila Neugebauer's razor-sharp direction is the best work I've seen by her and her commitment to every damn detail (those scene transitions!) made this play feel like a naturalistic drama locked inside a dream. WILLIAMSTOWN, MA - Halley Feiffer was fearless when she wrote her modern adaptation of THREE SISTERS which boiled all of Chekhov's subtext to the surface level. In doing so, she ripped off the masks these characters wear and addressed their selfish motivations head on. The choice turns Chekhov's theme of unfulfilled desires on its head and unlocks the absurdist humor in the original script. Under the direction of Trip Cullman, MOSCOW was a coruscating blend of juxtaposing anachronisms, fearless of being nasty and messy, and showed the heights theatre can reach when a playwright's singular voice is fleshed out by a director's pastiche concept. CHARLESTOWN, MA - What started out as his Master's thesis, director David R. Gammons spent a decade finessing his cutting of Marlow's queer-centric play about forbidden lust by wrestling it into a compact 8-person drama. Despite being produced in an abandoned fire station, the world of EDWARD II lived inside a 1980s bathhouse and was scored with new wave and pop-synth music. The design included Gammons' signature surreal aesthetic of fluorescent tubes on an industrial set of metal ladders and bridges. My favorite moment was the wordless ballet between Edward II and his lover Gaveston. Nothing else I saw in the greater Boston region compared. WASHINGTON, D.C. - No other theatre event affected me in 2017 the way ROE did. Playwright Lisa Loomer tackled the complicated 1973 Roe v Wade Supreme Court case legalizing a woman's right to abortion and spun it into a decades-spanning saga about a person's right to choose. A play about one of the most polarizing subjects in American politics could have been a liberal reverie where pro-choicers are the flawless heroes, and pro-lifers act like cartoon villains, but Loomer aims much higher by not letting her play lean left or right. Instead, ROE shoots right down the center by humanizing all characters (regardless of their political position) in a successful tactic at presenting this convoluted argument in an honest way. The play keeps piling on conflict until we see the full scope of this debate. After dumping all of this information into our laps, the play abruptly snaps to black and the audience is left asking how we might bridge the gap in this county. Directed by Bill Rauch, ROE took pleasure in being playful in the delivery of information and captured a right-here-right-now ethos with precision. I've enjoyed watching artists experiment with how theatre can be a vehicle for change in Trump's America. Now, as we reach the end of 2017, I realize ROE was most successful in offering us a solution.